The natural choice for installers, contractors and those who demand ultimate peace of mind, Defender® can protect you or your client’s investment and keep your building safe and crime-free. 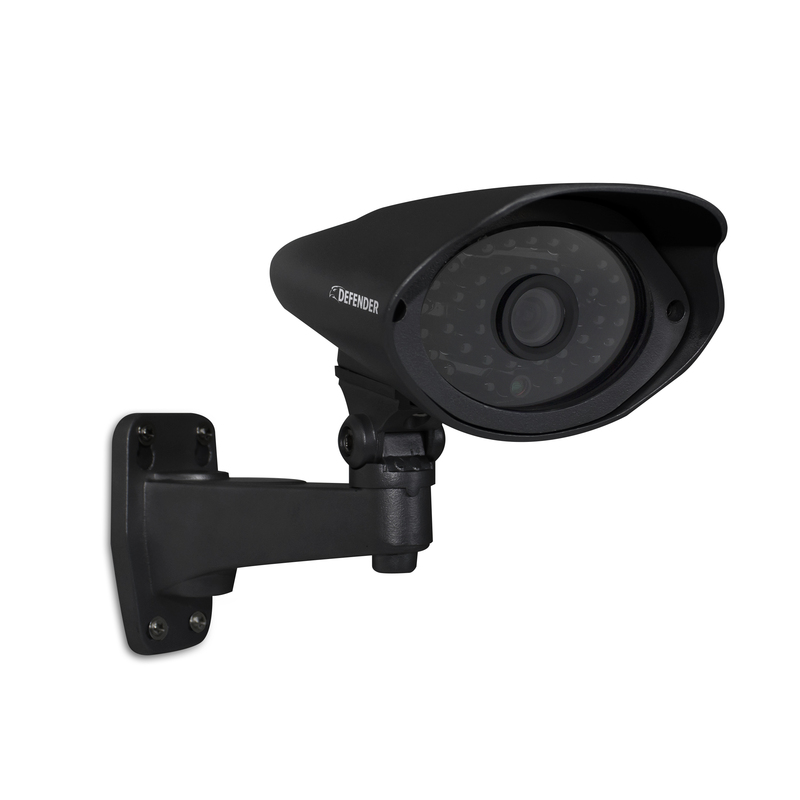 The patented sleek, modern appearance of Defender PRO cameras is complemented by its durable, vandal-resistant design while offering all the hassle-free installation and functionality you expect from Defender. PRO cameras’ advanced IR image filtering ensures high color accuracy that’s ideal for a wide range of outdoor applications, and 110ft of night vision ensures you won’t miss a thing while monitoring larger properties like building perimeters and parking lots. 1 x Ultra Hi- Res Surveillance Camera, 1 x 65 ft In-Wall Fire-Rated Extension Cable, 1 x Power Adapter, Mounting Hardware, Quick Start Guide, 1 Year Manufacturer's Direct Warranty.